Framed: view from the Ribblehead Viaduct, North Yorkshire. Last week I had some exciting news. I have been selected to exhibit my photography in the Northern Exposure exhibition at the Portico Library and Gallery in Manchester. Northern Exposure is an annual exhibition of the work of seven or eight artists from the North of England. This year the exhibition is taking place from 3-30 July, during the Manchester International Festival, so it is a great opportunity for me as a photographer, and one I know I am lucky to have been offered. For as long as I can remember I have been interested in where the boundaries lie between rural and urban, natural and human-made. Even in my relatively short lifetime British culture has become significantly more urban-centred (and London-centric), but of course the process goes back much further than that. I have begun choosing the eight or so pictures for hanging in the exhibition and all of them will explore the ways in which human activity and nature interact, the human influence on apparently natural landscapes, and how we have come to see the natural, or perhaps unnatural, world. More of my work is over at my photography website Mottershead and Hayes. Over on my photography blog, some pictures of Lime Street, Liverpool, in reflection. Over at Mottershead and Hayes, my photo blog, I’ve been writing about taking pictures with cameras from the early twentieth century. Here’s the link. Another quick post to say there’s a new poem and photo over at The Jupiter Project, my collaboration with poet Rebecca Goss. This one is called Caitlin and the Hens and although it has a comfortable, domestic setting, as with childhood itself there is a double-edged payoff. The New Hall, with Sumburgh Head lighthouse in the background. 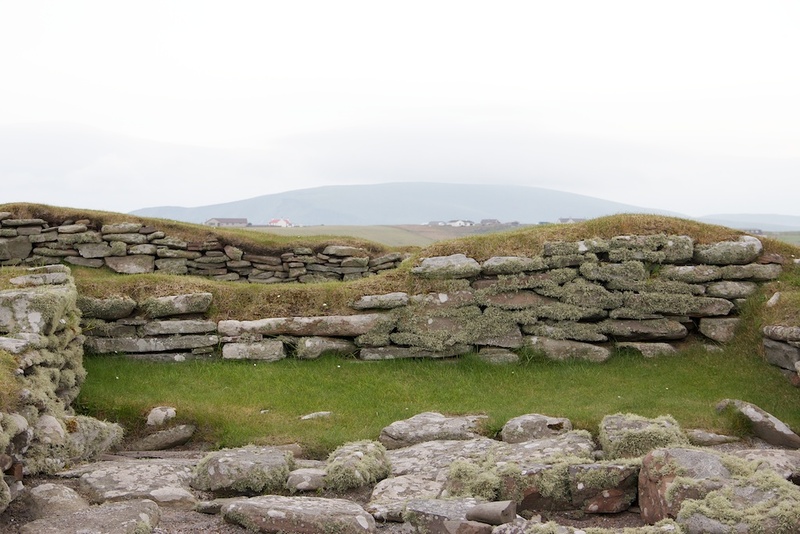 At the risk of turning this blog into the story of what I did on my holidays I thought I would post a few pictures of Jarlshof, a prehistoric site at the southern tip of Shetland, at Sumburgh Head. 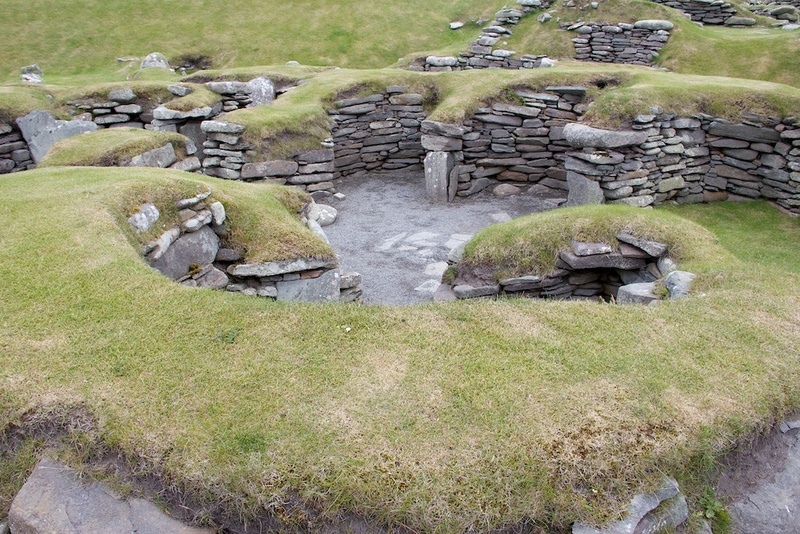 It is generally considered the most important prehistoric site on Shetland, dating back to around 2500BC and inhabited more or less without interruption until the 1600s. 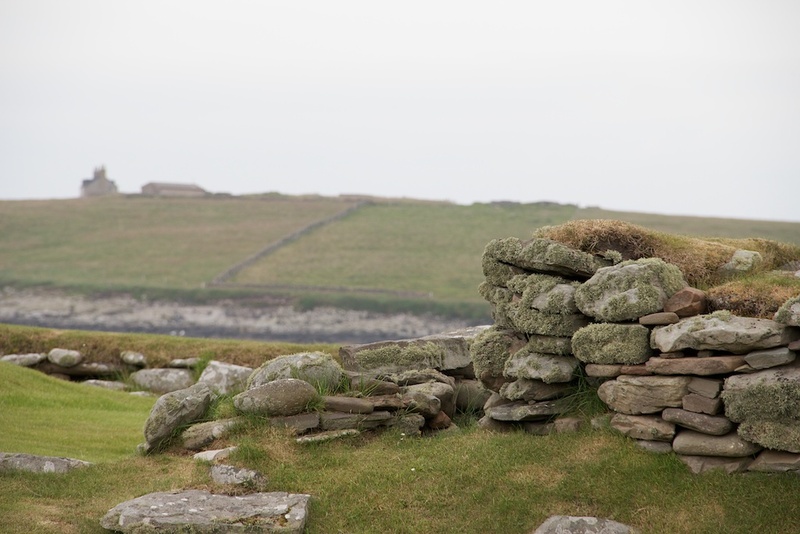 Sir Walter Scott was a commissioner for the lighthouse at Sumburgh Head and set his novel The Pirate (1822) in the most modern of the houses at Jarlshof, the biggest ruin in the pictures. What I most like about sites like this is the sense of people living in them. 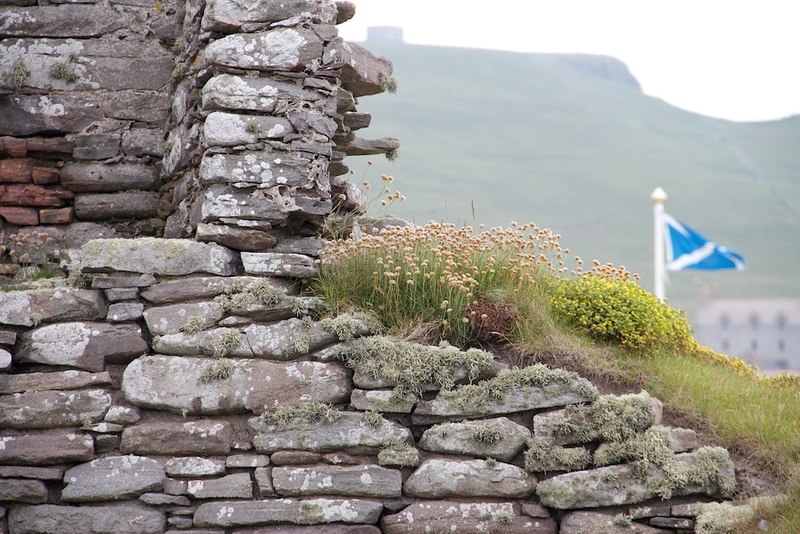 You can imagine these rough huts, with their turf roofs, and would be glad of their shelter even now. 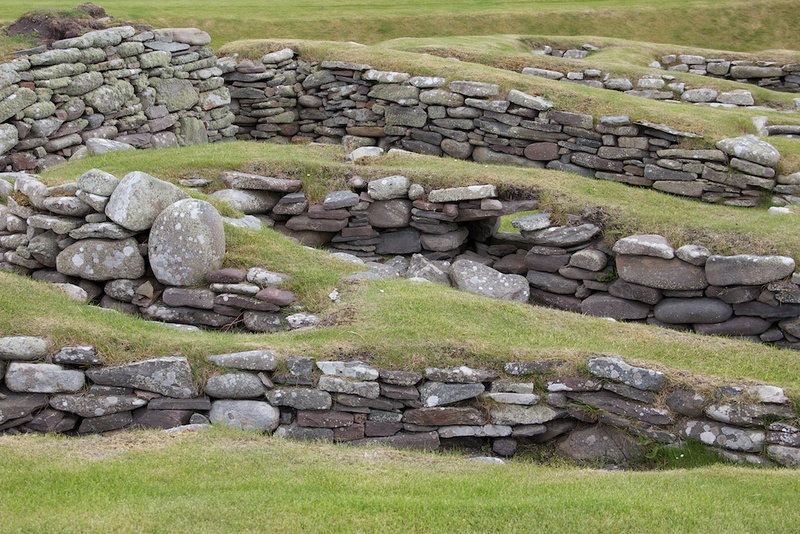 I particularly like the way that the geometric patterns of human dwellings is both imposed on the landscape and is forced to fit into it. 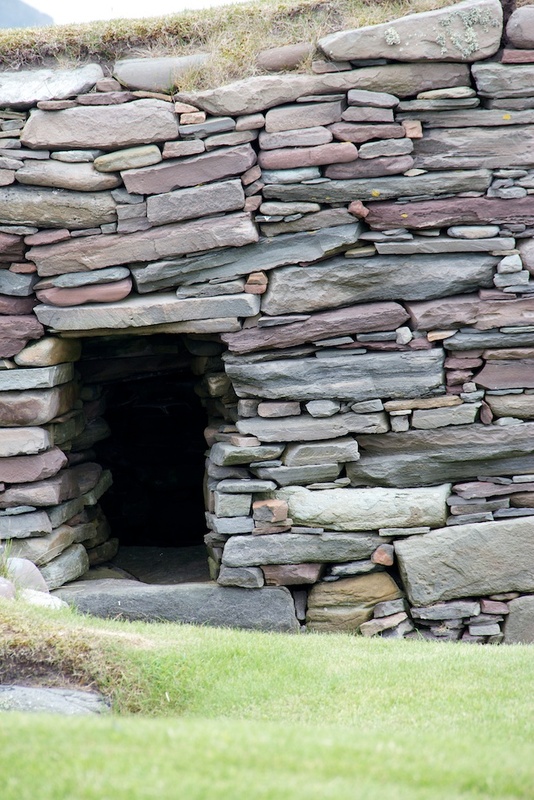 Apart from the Norse long house and the latest building, almost everything here is curved, and yet even the curves are built from layers of rocks, laid carefully upon on one another with a plan in mind. 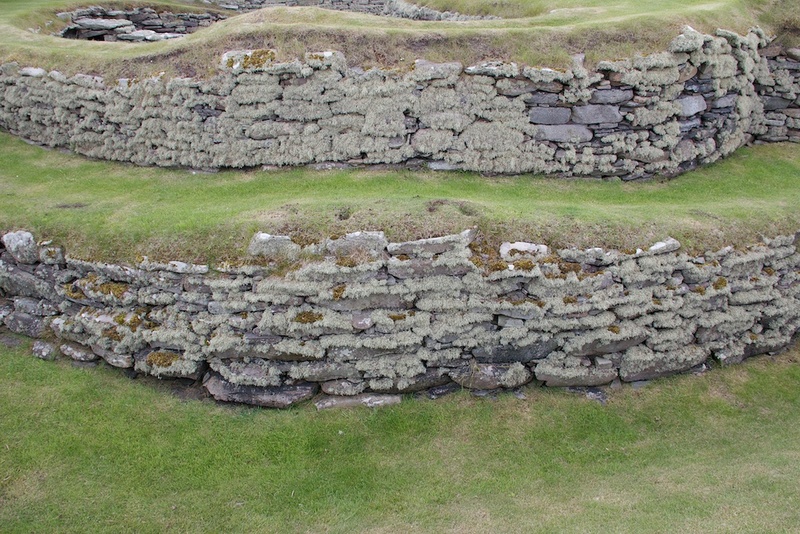 Jarlshof contains most of the types of ancient construction used on Shetland, from early buildings to brochs and wheelhouses, and a Norse settlement that dominated the village for 400 years from the 800s AD. There is also a medieval farm and, most prominent of all the New Hall, which inspired Scott. Anyway, Jarlshof is a fascinating, atmospheric place. I hope you enjoy the pictures. If you want to license any of these images for use elsewhere, please get in touch using the contact form. One eye on the sky, looking for skuas. Like most people who enjoy taking pictures the closest I get to photographing unusual wildlife is at the zoo. While an ancient film camera is perfectly adequate for shooting the exotic creatures stalking the streets of Liverpool, I don’t have the funds for the kind of equipment needed to get really close-up shots of anything more reclusive. Even so, a trip to Shetland seemed like an opportunity to play at wildlife photography, so I borrowed a Tamron 18-200mm ‘superzoom’ lens from my sister (Thanks Sis) and set out with high hopes. We had three goals: to see dolphins, whales, and puffins. Orcas at Levenwick, Shetland, July 28, 2013. We got lucky on day one when our neighbour (and owner of our holiday apartment) came over to say that orcas had been spotted just off the coast nearby. It turned out to be a pod of four (or maybe five) and they treated us to a spectacular display of the kind that wildlife television crews sit around in wet tents for months to see. This included a demonstration of seal throwing that was both thrilling and quite harrowing to watch, especially when it became clear that they were doing it for fun and not for food. You can’t see the seal in the picture above, but it’s in there somewhere. Even at 200mm the lens wasn’t really adequate at that distance–I reckon I needed at least twice that to get really close–but some cropping helped bring them closer. Here’s an excellent video taken by John Moncrieff not long before we arrived. 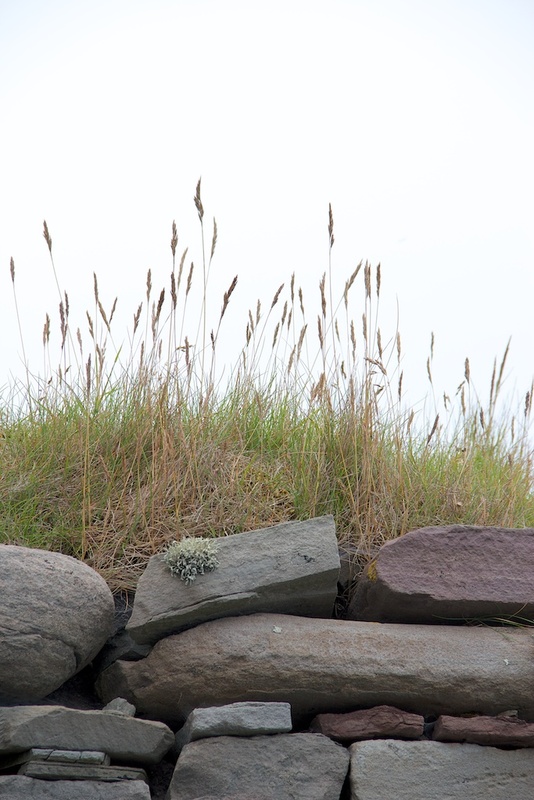 We had even more good luck at Sumburgh Head the following day, where not only were there loads of puffins scattered across the sloping cliff tops, but a pair popped out of their burrow right at our feet. Photographing these birds was easy. They were well within the range of the 200mm lens–some of them were close enough to photograph with a phone–and even those further away kept still long enough for me to compose the shot. It was trickier capturing them in flight. The autofocus on the Tamron lens just wasn’t fast or accurate enough to lock on to them as they approached from the sea. Tracking them as they took off and plunged down the cliff was easier, but I wanted a landing shot. I finally got one as we were leaving, but more by luck than judgement. This image is cropped too as the bird was quite far away. I was quite impressed by the lens, which is small and light despite its wide range, but it is an old design now and the slow autofocus and lack of stabilisation were sometimes irritating. I’d go for the newer Tamron 18-270mm, which has a welcome extra bit of reach and is stabilised to reduce camera shake. Overall, despite the limitations, it was refreshing to use one ‘do everything’ lens for a change. If I was thinking of buying a new crop-sensor DSLR I’d be tempted to buy a body on its own and one of these to go with it, rather than the standard kit lens. We never did see dolphins, but getting this close (and closer) to these charming little birds, while they ignored us, was quite a thrill. A quick note to say that I’ve been awarded “Highly Commended” for a photograph of mine in the 2013 Bare Hands Poetry and Photography Competition. I’ve been enjoying Bare Hands’ mix of photography and poetry for about a year now and if you’re a fan of either of those things I recommend taking a look. The monthly journal is primarily web based, but there are also occasional anthologies. 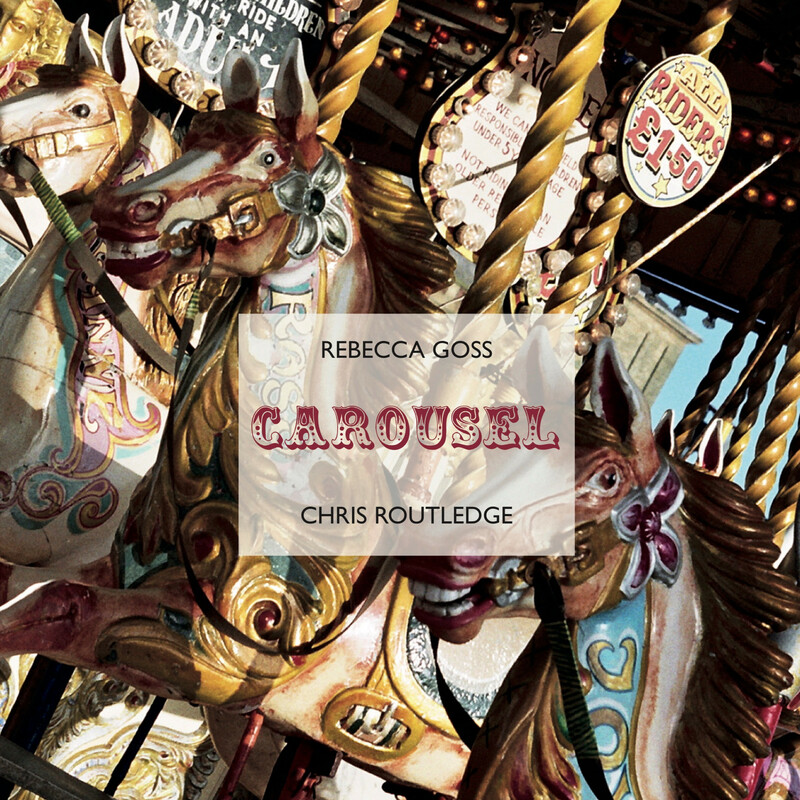 I should also say “thank you” to Rebecca Goss, who encouraged me to enter. I first came to Walker Evans through his collaboration with writer James Agee in the book Let Us Now Praise Famous Men (1941). Then about a month ago I bought a copy of the 75th anniversary edition of American Photographs (US edition at the MoMA store) first published in 1938 by the Museum of Modern Art in New York. I’ve been looking at it every day since. Many of the images in the book are familiar. In the case of Evans’s well-known portrait of Allie Mae Burroughs, two different images (see above) were chosen for the two projects. Perhaps Evans’s views about what he and Agee saw in Alabama in 1936 had hardened by the time Let Us Now Praise Famous Men was in preparation, but the version which appears in that book, one of four frames exposed at the time, is tougher and less trusting. What I like about these photographs is the sense they have of trying to show us everything and letting you make up your own mind. “Here it all is, untouched and unchanged,” says Evans, and presents us with buildings photographed face-on, filling the frame, wrecked cars strewn across a landscape, or a bed in a room snapped at a thoughtless angle. Evans’s effort to remain (or at least appear to remain) focussed on documentary realism makes his work dramatic, even stark, but that doesn’t mean it is unemotional. He captures the eyes of a farmer trying and failing to clothe and feed his family, a couple in a parked car surrounded by the blur of passing traffic, or a street lined with cars and slick with rain. In his accompanying essay Lincoln Kirstein compares Evans with T.S. Eliot and like Eliot, Evans keeps himself–his admiration, his amusement, and his pity–out of his work so that we can find the meaning there. Evans was 35 years old when the American Photographs exhibition and book first appeared. By then he had a decade of photographic work behind him, much of it undertaken on behalf of the Resettlement Administration, a government agency set up during the Depression to document struggling rural communities. Evans’s photographs of store fronts and roadside buildings, as well as his images of ordinary Americans going about their business, are in contrast to the grand landscapes of his contemporary Ansell Adams. Where Adams celebrated the natural beauty of North America and did so in a quasi-Romantic style, Evans concentrated on its people and the farms, small towns and cities where they lived. The images in American Photographs often have a narrative quality to them, perhaps reflecting Evans’s early ambition to be a writer. They are arranged in the order in which they are intended to be viewed–the book began life as an exhibition catalogue–and there are many juxtapositions that seem important. For example in Part One, a 1932 portrait of an exhausted coal dock worker (plate 33) precedes a minstrel showbill from 1935 (plate 34). These are different kinds of blackness, and black experience, played off against each other. On a more structural level the portraits and faces of Part One give way to the architectural photographs in Part Two. These are two separate and distinct incarnations of America: the human and the made. The human forms in Part One–wry, defiant, proud and, despite their sometimes miserable circumstances, vividly alive–are overtaken in Part Two by vacant buildings, empty streets. Part One ends, perhaps significantly, with an image of a classically-inspired Louisiana plantation house partially obscured by the massive trunk of a fallen tree; Part Two begins with a battered representation of a scrolled capital from an Ionic column made in stamped tin. In American Photographs we find a detailed visualisation of an America that is somehow cold and unforgiving, and yet where real people live. In many of Evans’s photographs everything is in focus, to be scrutinised and pored over. Meaning is something you have to search for, but you might find it anywhere: in the detail of a poster, or the pose of a figure at the edge of the frame. Complex composition, beyond simple foreground and background, creates its own narrative. In this, it occurs to me, Evans anticipates the style of Greg Toland, whose cinematography in films like The Grapes of Wrath (1940) and Citizen Kane (1941) brought a new way of looking to moving pictures. In those movies Toland often uses ‘deep focus’ to show concurrent narratives within individual scenes. Similarly Evans keeps foreground and background in focus, using layering, shadow and perspective as narrative tools in his still images. Using relatively slow film and, most of the time, large negatives, such photography required long exposures even in bright light. To look at one of these photographs is to observe a scene frozen not for a fraction of a second, but over many seconds; although still, many of them describe a significant passage of time. That this was a conscious decision on Evans’s part is evident in the photographs from the book that were taken in the early part of his career, before around 1932. Although there is no moment when his style changed decisively, images from the 1920s, such as Part One plate 11 “Coney Island Boardwalk” (1929) suggest a lighter, more playful approach. In this image we see, from behind, a woman in a summer outfit printed with a balloon motif, leaning over the boardwalk rail. The blurred bathers in the background, and the waist-level view of the woman’s hips, leave no doubt about where we are supposed to look. Later photographs pretend to leave those decisions up to us, but as the two Allie Mae Burroughs portraits show, it’s not quite as simple as that. American Photographs has been in and out of print several times since 1938, but it is one of the most important photographic books of the twentieth century. This beautifully-printed 75th anniversary edition is well worth looking at. 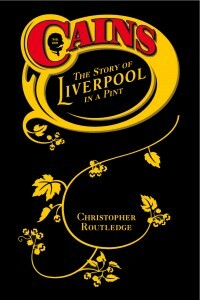 (US edition and UK edition).